Tarmizi Tohtayong exits a prison bus after arriving at the criminal court in Bangkok, Thailand, Bangkok, Thailand, Tuesday, Sept. 25, 2018. A Thai court has convicted nine young Muslim men from southern Thailand of planning to set off a car bomb in the capital Bangkok found nine guilty of belonging to a secret society, earning each a four-year-prison sentence. (AP Photo/Sakchai Lalit) . BANGKOK (AP) — A Thai court on Tuesday convicted nine young Muslim men from southern Thailand of planning to set off a car bomb in the capital, in a case in which many of the defendants said they were tortured into making false confessions. The Criminal Court in Bangkok found all nine guilty of two offenses — belonging to an underground criminal group and conspiracy — and sentenced each to four years’ imprisonment. One was also found guilty of illegal possession of explosive devices, giving him a total of six years in prison. Their original sentences were eight years and 12 years, respectively, which were halved because of their confessions, which is normal practice in Thai courts. Five defendants were acquitted. The case began when at least 50 Thai Muslims, mostly students at Bangkok’s Ramkhamhaeng University, were rounded up in joint police-military sweeps on Oct. 10, 2016. They were released but 13 were rearrested the following month along with an additional suspect. At least seven of the 14 defendants said they had been tortured or otherwise physically abused in custody, but the presiding judge said the court considered their allegations baseless as the men did not provide any evidence and did not report the cases to police. The guilty verdict was based mainly on the confessions. The only other major evidence presented against them was traces of explosive material found on one of the men one week after he was first detained. All 14 men are from Thailand’s deep south, which has been plagued by a bloody insurgency since 2004. Muslims in the poverty-stricken south feel they are treated as second-class citizens in Thailand, which is overwhelmingly Buddhist. Virtually all the violence carried out by Muslim separatist insurgents has been limited to Thailand’s three southernmost provinces. But a series of bombings at popular seaside towns in August 2016 which killed four people and wounded dozens raised fears among law enforcement agencies that attacks could spread to Bangkok. Pornpen Khongkachonkiet, from the Cross Cultural Foundation, a human rights organization that sent observers to the trial, said seven defendants testified in court that they were tortured while under detention in army camps either in Bangkok or in the southern province of Pattani. There have been many accusations of torture by the authorities as part of their effort to quell the southern insurgency. One of those originally detained, Tarmizi Tohtayong, described in court how he was blindfolded and beaten up until he agreed to sign a confession before he was released. When he was detained again, he denied involvement in plotting a bombing, then was doused with water and kept in a very cold room for days until he agreed again to confess. Tarmizi couldn’t read Thai but was told he would be released once he signed the document. “It’s just because we are from the deep south. That’s all they see in us — from the deep south. When we speak the truth, no one believes us. It’s tiring. It’s very tiring,” said Hanila Der Lamat, the mother of 24-year-old Ussamal Gatehhayee. 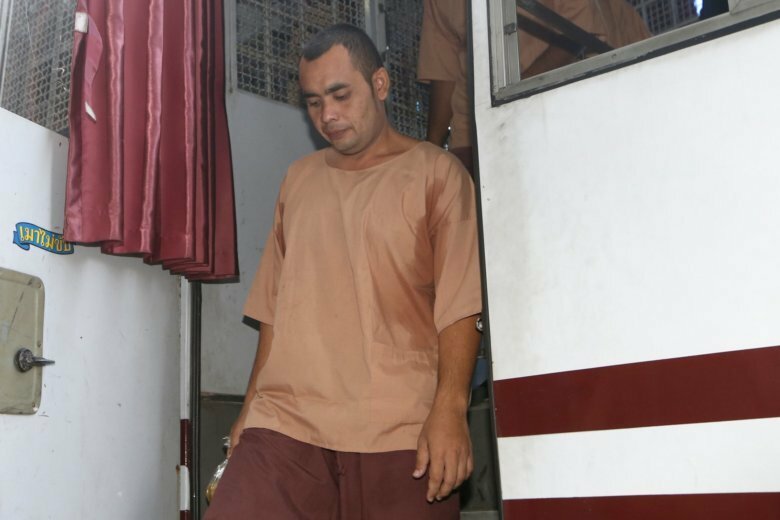 The court found Ussamal guilty after he allegedly confessed that his role in the bomb plot was to ship cellphones to Bangkok. Mobile phones are often used to remotely detonate homemade bombs. His mother believes that he, along with other detainees, was tortured. Rights activist Pornpen said Thailand should pass laws that would criminalize torture with no exception for national security reasons. “Currently, when it comes to national security-related cases, national security is the priority, not due process. And there are few checks and balances in the justice system,” she said. Thailand’s Cabinet approved a draft Prevention and Suppression of Torture and Enforced Disappearance Act in 2016 but it was not endorsed by Parliament.